They say that blondes have more fun, but just imagine how more fun it would be if someone would accessorize it with some champagne. Well, that’s exactly what Emma Roberts and her hairstylist just did. Roberts has justifiably earned the title of hair chameleon this year, due to her successful attempts to switch so many hairstyles is such a short period. She started 2017 as a brunette, later on she embraced the smoky quartz style until she turned Bob-haircut blonde. Now she’s presenting the “Champagne Pop” blonde – sort of a pale tone with icy-crushed texture and ultra-glowing finish. 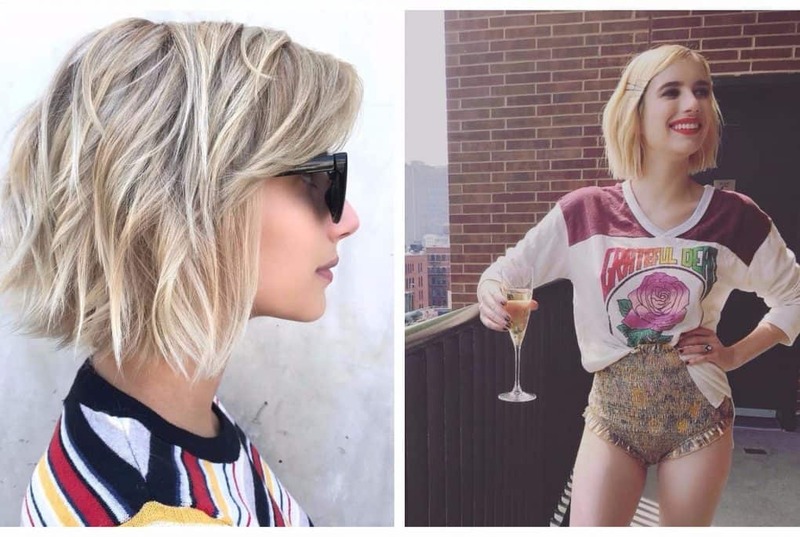 Glamour magazine already crowned it as “The coolest take on blonde” while Instyle Magazine stated that “Every blonde will want Emma Roberts’ Champagne Pop hair this fall”. The official title was coined by Roberts’ personal hairstylist, Riawna Capri, who published the actress’ fresh-ashy look under the bubbly capture. She also mentioned that the new hair tone is a result of three trials, “3 times a charm” in her own words. Well, The outcome is charming indeed.